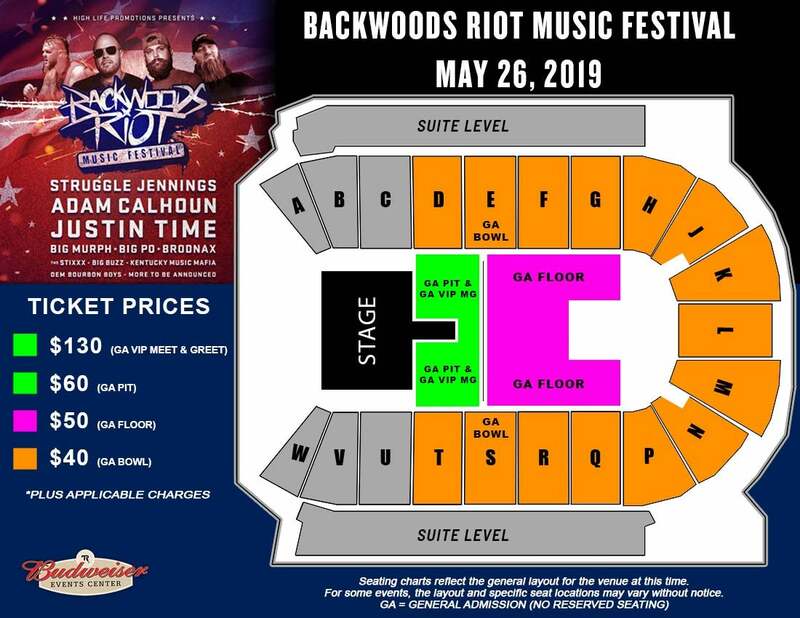 The Backwoods Riot Music Festival is the biggest event of its kind in Colorado and is coming to the Budweiser Events Center at The Ranch on Sunday, May 26th with over eight incredible artists. You have heard about it, people have told you about it and now it is time for you to experience the wildest party in America as it hits Colorado, brought to you by High Life Promotions. Confirmed artists include Struggle Jennings, Adam Calhoun, Who TF is Justin Time?, Big Buzz, Big Murph, The Stixxx, Big Po, Brodnax, Dem Bourbon Boyz, Kentucky Music Mafia and more to be announced.